thebahamasweekly.com - Blurred Lines: What Exactly is “Cinema” in 2017? Cannes, France --- If you haven’t been following our articles and posts, here’s a quick recap: the world of the cinema is changing. It has changed. The future is right now. This has been the predominant theme of the 70th Cannes Film Festival. But this means something more than just an anniversary event special. 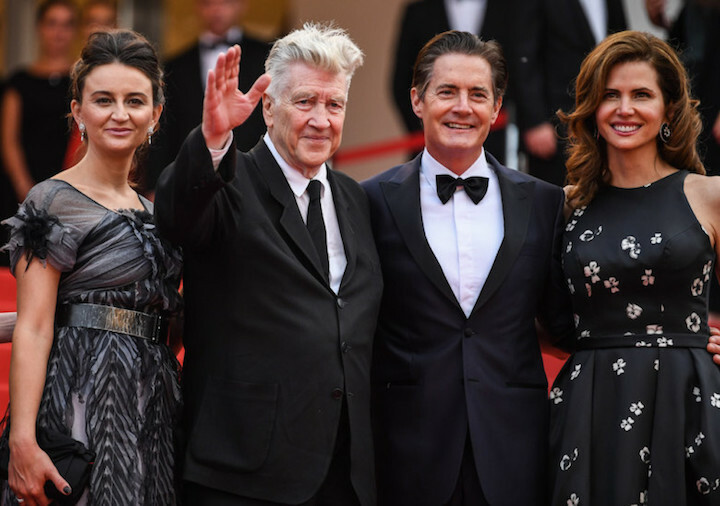 With the two titles, Cannes is also highlighting the symbiosis and osmosis of respected filmmakers (or “auteurs”) like Mr. Lynch and Ms. Campion working the medium of television. Cannes is spotlighting how the lines are increasingly being blurred between cinema, streaming cinema, and cinema-as-TV. Who can really tell the difference anymore? Whether it is HBO’s “Game Of Thrones” or Netflix “The Crown” it all looks and feels like “cinema.” As someone that has spent the last two years travelling the globe making films, I am personally here for all of it. Some of the best cinema I’m watching these days isn’t in a darkened theater. It is on television. And streamed online. Quite frankly, it’s all a blur. Fifteen years after serving as the jury president here at the Cannes Film Festival and 27 years after collecting the Palme d’Or for the film Wild at Heart David Mr. Lynch returned to the Grand Theatre Lumiere last night with the two-hour premiere of his Showtime series “Twin Peaks,” It received a huge five-minute standing ovation. His ovation was one of the lengthier ones at this year’s festival, on par with the premiere of Sofia Coppola’s The Beguiled and just a minute longer than Netflix’s Okja. Twin Peaks, which is based on David Lynch’s film of the same name, also highlights this fascinating current move and era of movie revivals. Television and online streaming services are increasingly taking what was once TV shows (like Full House), or movies (like Dear White People), and bringing them back in a new, serial, and interesting way. 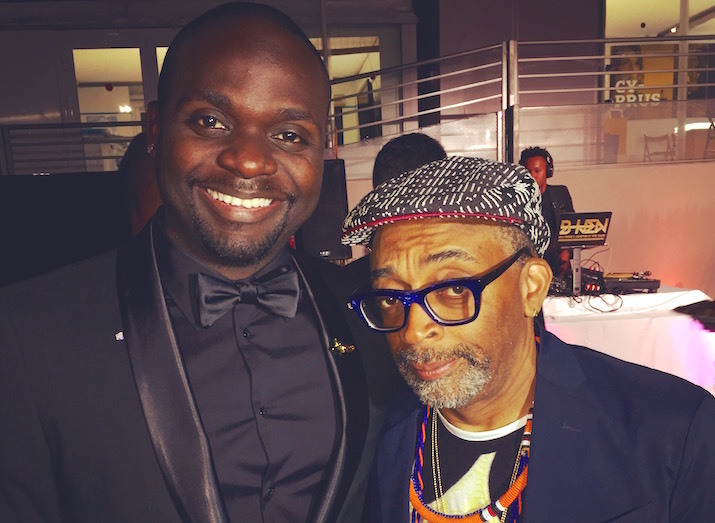 I had the honor of attending a dinner party event at the American Pavilion at Cannes that was held in honor of legendary filmmaker Spike Lee. When giving his thank-you speech to guests, Mr. Lee announced that his first feature film (and classic film) “She’s Got To Have It” is in post-production with Netflix as a series. She’s Got To Have It, the series. My jaw dropped. A new movie will be based on a meme off of this photo of Rihanna and Lupita Nyong'o back in 2014 during a Miu Miu fashion show. And in more Netflix news, it was also announced at the festival via Entertainment Weekly that they would be acquiring and producing the Rhianna and Lupita Nyongo Twitter movie. They will produce and distribute an original film based on... well... based on an Internet meme. The project in question began as a photo snapped of Rihanna and Lupita Nyong'o back in 2014 during a Miu Miu fashion show. A Tumblr user (who I wonder if they will get paid for all of this) captioned the picture as "They look like they’re in a heist movie with Rihanna as the tough-as-nails leader/master thief and Lupita as the genius computer hacker." That post went viral more than two years after the fact. Twitter demanded a movie based on the meme, and suggested that Ava DuVernay direct it. Then someone else chimed in that Issa Rae should write it, and now it looks like we're getting a movie directed by DuVernay, written by Issa Rae and starring Rihanna and Nyong'o. Welcome to the future. The only real defining and dividing line between new Hollywood and “New New Hollywood” (see previous article about Okja) or the line between theatrical cinema, streaming cinema, and cinema-as-TV is basically, well, economics. It’s all about the consumer (In the twitter created movie this is literally the case). Netflix, for example, is a subscriber-based service, so they don't have to care about box office, market share, advertising, demographics, or even the great fear of online interest over inflating general audience interest. Gone are the days of Hollywood tent pole releases as king. Even if by some fluke, for example, that She’s Got To Have It doesn’t equate to actual viewers. That doesn't matter, as long as the media treats the show as a big deal and makes it part of pop culture, which in turn makes Netflix a driving force of pop culture. Thus adding more subscribers. It's a revolving circle. This is The Cinema.